The AL-100 most powerful supercomputer within the Russian and CIS industry put into operation at NPO Saturn. August 22, 2008, Rybinsk. NPO Saturn has completed the project of a new supercomputer center creation. Launching of the most powerful and high-efficient supercomputer within the Russian and CIS industry with efficiency of 14,3 TFlops (billions of operations per second, with a floating point) is a result of NPO Saturn cooperation with KROK, IBM, Intel, and APC by Schneider Electric companies. 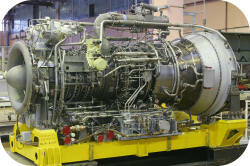 The second marine gas-turbine engine developed by NPO Saturn is ready for official tests. August 21, 2008, Rybinsk. NPO Saturn has completed development work of the second marine gas-turbine engine - M70FRU – and is planning to subject it to the official tests in September this year in Rybinsk. Saturn-Gas Turbines has won the tender for gas-turbine equipment delivery for the GTES-12 power plant to Igolsko-Talovoye field of ОАО Tomskneft. August 20, 2008, Rybinsk. According to the results of the tender called by OAO Tomskneft, Saturn-Gas Turbines will deliver the main equipment for construction of the GTES-12 gas-turbine power plant of 12 MW total capacity to Igolsko-Talovoye field. The project provides for installation of two GTA-6RM gas turbines power packages with engines of 6 MW developed by NPO Saturn and generators TK-6-2RUZ developed by OAO Drive (Neftegazovye Systemy Group). The equipment delivery period is 6 months. Flight tests of the AL-55I engine developed by NPO Saturn on the MiG-AT training aircraft are successfully going on. August 19, 2008, Rybinsk. Flight tests of the new AL-55I engine developed by NPO Saturn on the MiG-AT training aircraft are successfully going on In Zhukovsky (Moscow region). 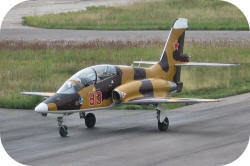 The MiG-AT trainer is equipped with two engines, one of which is AL-55I and the other one is Larzak of French manufacture. As of today, the aircraft performed six flights, in the course of which the AL-55I engine starts were practiced at various altitudes and operating conditions, including negative acceleration. Flights were also performed on the Larzak engine only, and only on the AL-55I engine. In this case the AL-55I starts were practiced at windmilling. The AL-55I confirmed the declared characteristics within the flying modes. Russian Federation honored test pilot Oleg Antonovich, Hero of Russia, who piloted the MiG-AT, noted perfect controllability of the engine.